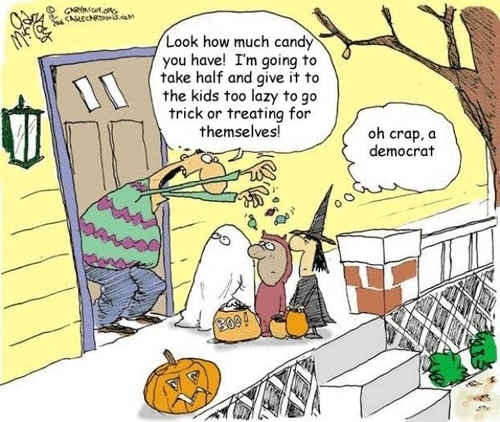 Socialism and Halloween. My aunt sent this to me last Halloween. Made me giggle, because its so right.. Wallpaper and background images in the U.S. Republican Party club tagged: politics conservative republican liberals socialism halloween. This U.S. Republican Party photo contains ڈاؤن لوڈ ہونے والے, مزاحیہ کتاب, منگا, کارٹون, ہالی ووڈ, and کامک بُک.